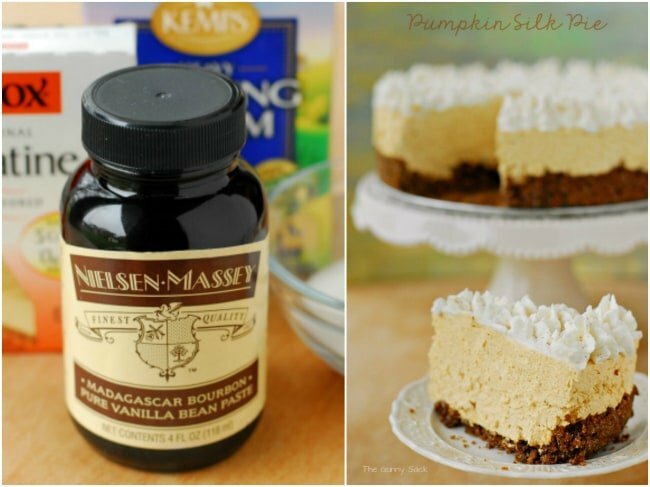 This Pumpkin Silk Pie is a delicious holiday dessert recipe that is easy to make. Pumpkin dessert recipes are perfect for holiday parties and this pie is a fun alternative to the traditional pumpkin pie. This post is sponsored by Nielsen-Massey. All opinions are 100% my own. Last week we didn’t have a Holiday Progressive Dinner because we were having Thanksgiving dinner with our families, but we are back this week with more delicious recipes and another great giveaway. 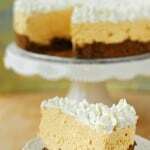 Today I am sharing a dessert recipe for the progressive dinner and I made a Pumpkin Silk Pie. 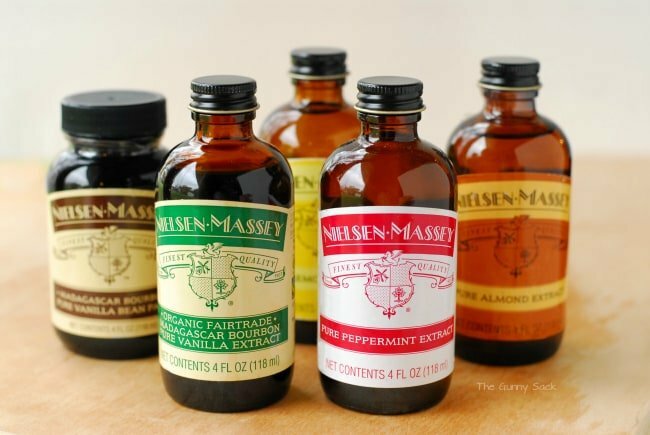 Nielsen-Massey makes high-quality vanilla extracts and flavorings. They have been making vanilla products for over a century so they really know what they are doing. Nielsen-Massey uses a cold extraction process instead of heat extraction which helps to preserve more than 300 distinctive flavor compounds present in the beans. I received Organic Fairtrade Madagascar Bourbon Pure Vanilla Extract, Madagascar Bourbon Pure Vanilla Bean Paste, Pure Lemon Extract, Pure Almond Extract and Pure Peppermint Extract. Even my kids were excited about all of these vanilla extracts and flavors. They asked if they could open the bottles to smell them before I even had a chance to! The dessert I decided to make was Pumpkin Silk Pie. I used Nielsen-Massey Organic Fairtrade Madagascar Bourbon Pure Vanilla Extract in the main part of the pie. Then, to top off the pie, I made whipped cream with Nielsen-Massey Madagascar Bourbon Pure Vanilla Bean Paste. This was my first experience with vanilla bean paste. It is thicker than vanilla extract, almost like molasses with vanilla seeds in it. The vanilla bean paste added little flecks of the vanilla seeds to my white whipped cream and looked lovely! 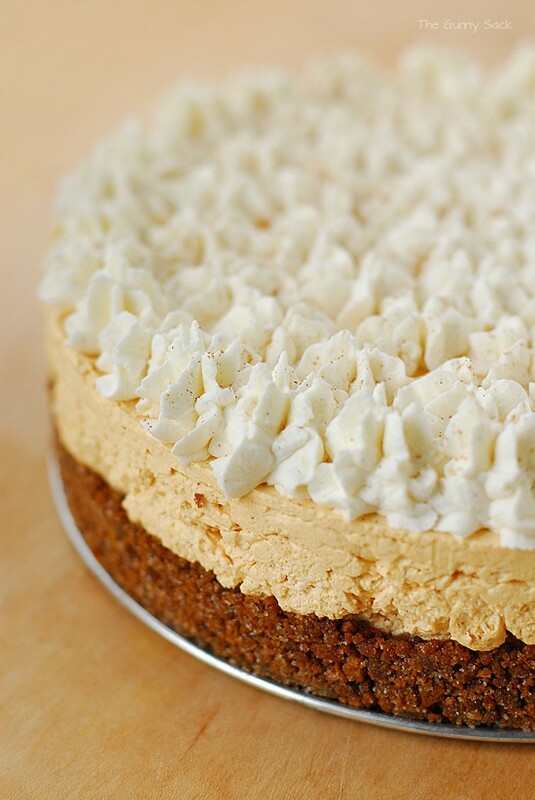 To make the pumpkin silk pie, start by making a ginger snaps cookie crust. Finely crush 32 ginger snaps. (I used Nabisco brand ginger snap cookies) Mix in melted butter and sugar. Press into 9-inch springform pan. Bake at 325 degrees for 5 minutes. 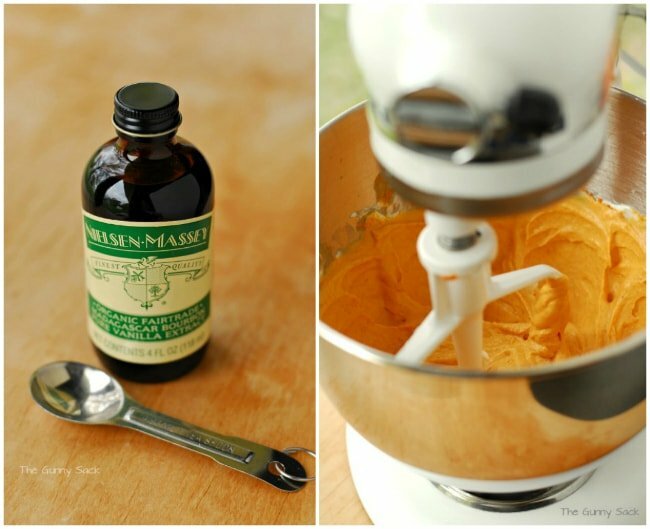 In the meantime, make the pumpkin silk filling. Beat softened cream cheese, using a stand mixer, until light and fluffy. 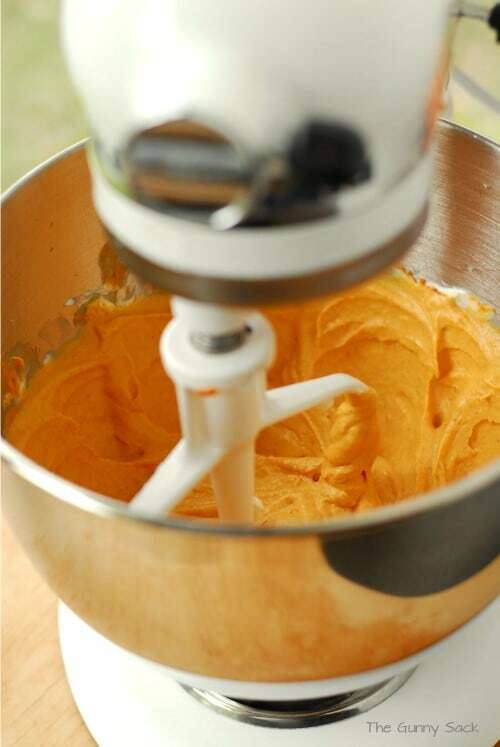 Add the powdered sugar, pumpkin puree, vanilla, and pumpkin pie spice; beat until smooth. Fold in one large container of whipped topping (Cool Whip) and spread into the springform pan. Place in the fridge for a couple of hours over overnight to allow it to set up. Remove the springform pan sides and top with whipped cream. I put the whipped cream in a pastry bag and piped it onto the cake. 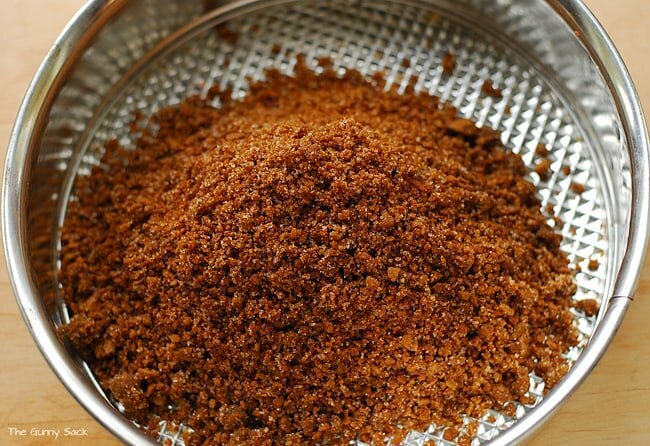 Sprinkle with pumpkin pie spice. Go ahead and cut yourself a slice of pie! 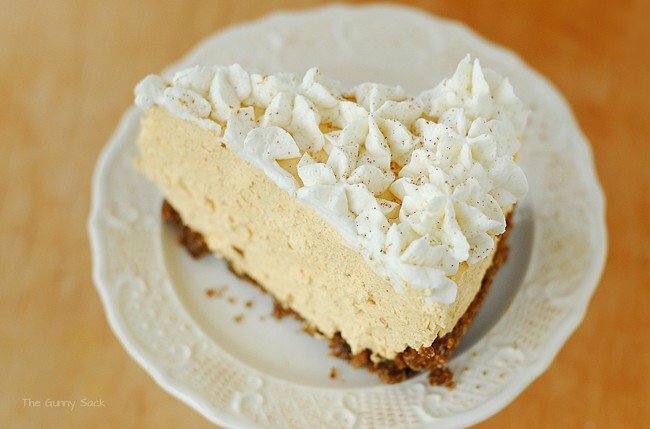 The pumpkin silk pie is cool and creamy with a light pumpkin flavor and the spice of ginger snaps. It is a delicious holiday dessert recipe that is easy to make and is a fun alternative to the traditional pumpkin pie. Finely crush 32 ginger snaps. Mix in melted butter and sugar. Press into a 9-inch springform pan. Beat softened cream cheese until light and fluffy. Add the powdered sugar, pumpkin, vanilla and pumpkin pie spice; beat until smooth. 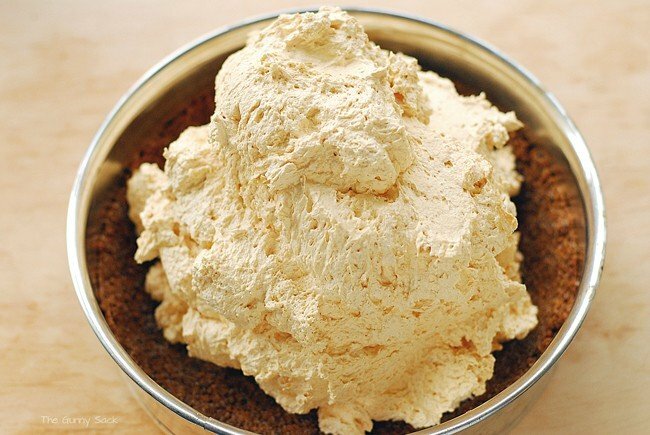 Fold in one large container of whipped topping and spread into the springform pan. Place in the fridge for a couple of hours or overnight to allow it to set up. 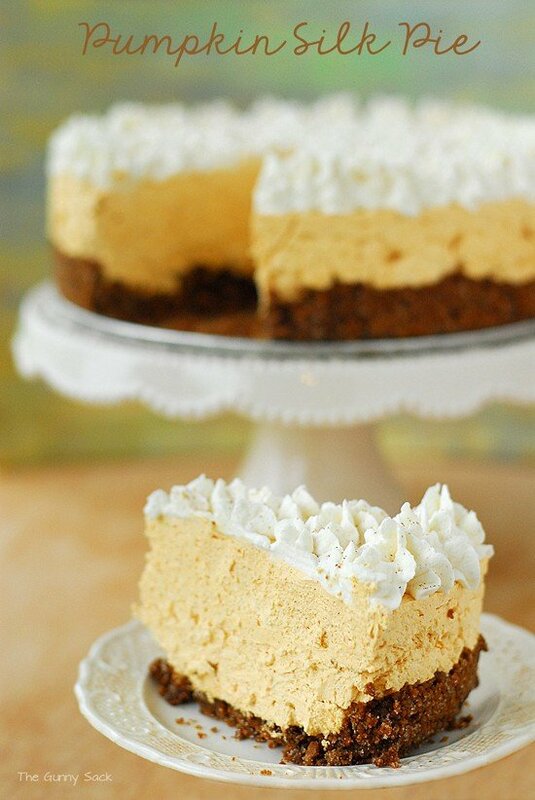 Remove the springform pan sides and top with whipped cream (recipe below). Beat the heavy whipping cream with a chilled bowl and whisk until it starts to thicken. Add the sugar and vanilla bean paste. Beat until peaks form. 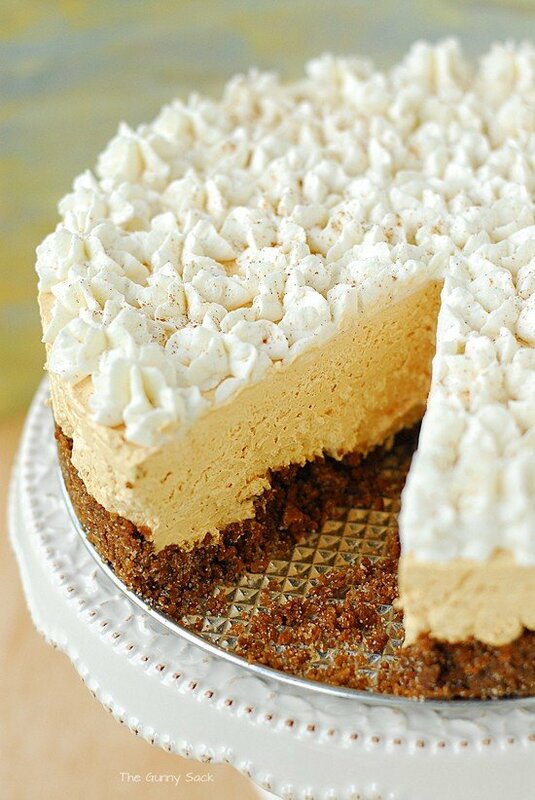 I also was thinking of using a cinnamon graham cracker crust instead of the gingersnap crust and in place of the pumpkin spice, using some cinnamon and nutmeg. The leadup text says to use a large tub of Cool Whip (which is 12 oz / 4.5 cups) but the final recipe specifies 16oz Cool Whip. Would you please specify the container & volume? Our grocery stores only have two Cool Whip container sizes. One is 8 oz and one is 16 oz. I used the large container which is 16 oz. Best of luck! I made this yesterday, as directed. It’s definitely better the second day. I think it’s good enough to take to thanksgiving dinner because it’s not a boring, heavy plain pumpkin pie BUT I think there’s a wee bit too much whip in the filling and it waters down the taste of the pumpkin. So if people are expecting a WOW pumpkin flavor, it’s not there unless you cut out some of the whip- which I will the next time. Hi. 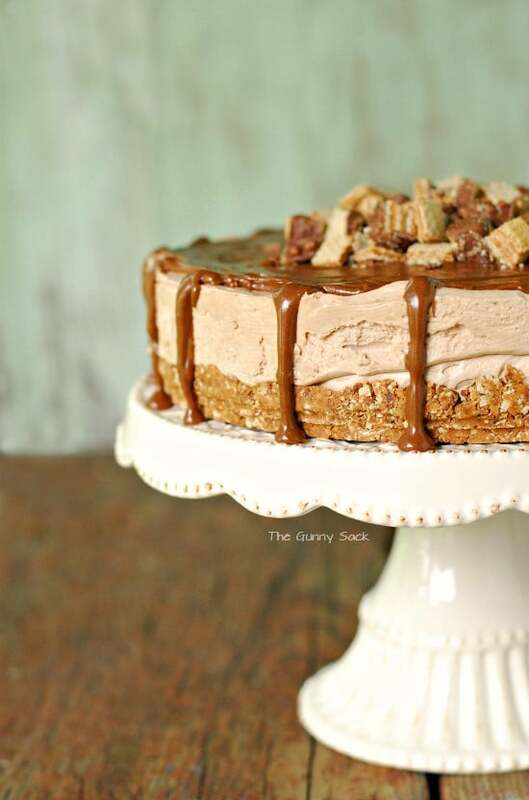 This silk pie looks amazing and I would love to make it for our tropical Turkey Day. What can I use as a substitute for Cool Whip, since I can’t get that outside the U.S.? Thanks. You can substitute equal amounts of whipped cream. Happy Tropical Turkey Day! What size springform pan did you use? Thanks! I used a 9-inch springform pan. Enjoy! 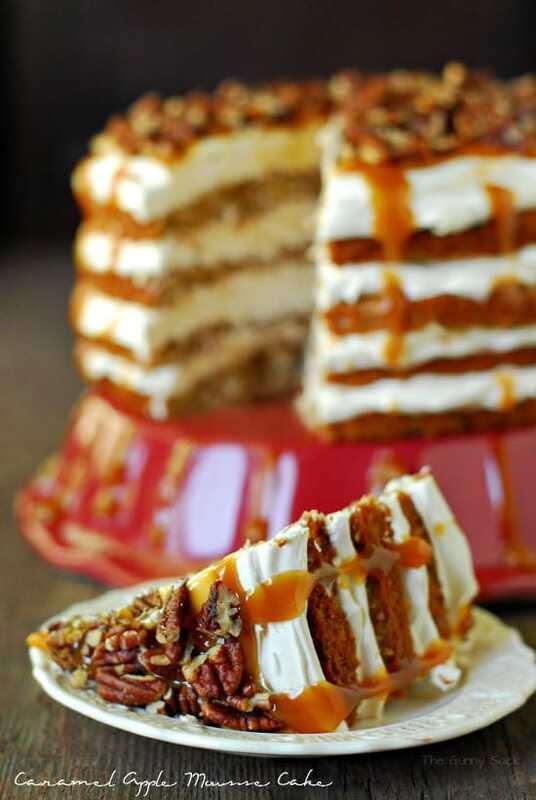 How much vanilla bean paste did you add to the whipped topping for the top of the cake? I can’t find the recipe??? This looks amazing. I’m in charge of desserts this year. 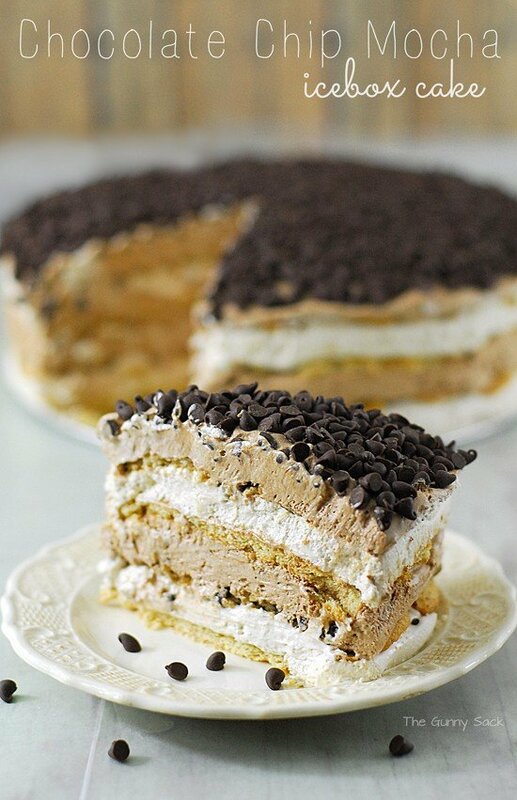 This will just blow everyone’s socks off when they see this on the dessert table. Please tell me where to go for the recipe. Thank you for sharing this with us.